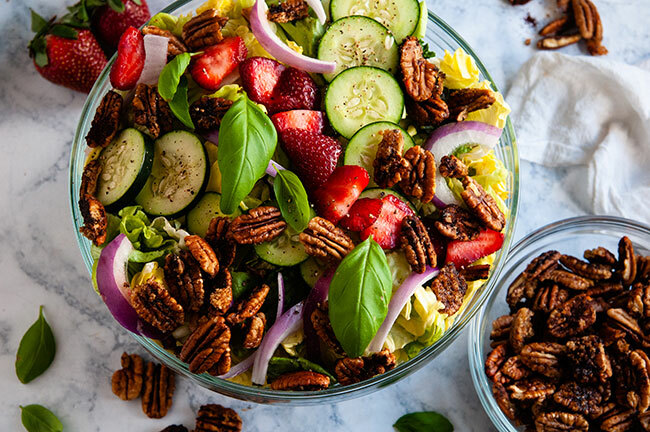 This salad with strawberries and candied pecans is a delicious light lunch or dinner appetizer salad. A homemade Italian vinaigrette tops this salad recipe. 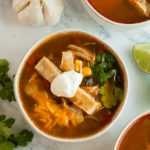 Easy, healthy, delicious, and vegetarian and vegan friendly. This time of year just calls for freshness and bright flavors. That’s what this salad is. So much freshness and brightness all topped with the yummiest candied pecans ever. Even though I love this salad this time of year with all the fresh strawberries coming into season, it’s a salad you could have any time of year. In fact, the first time I had this salad was over the winter when everything was going on with the loss of my son and my other son’s nicu stay. My friend made this salad as an accompaniment to her roasted southwestern steak. It was so good and not just because it was one of the first fresh salads we had in awhile. 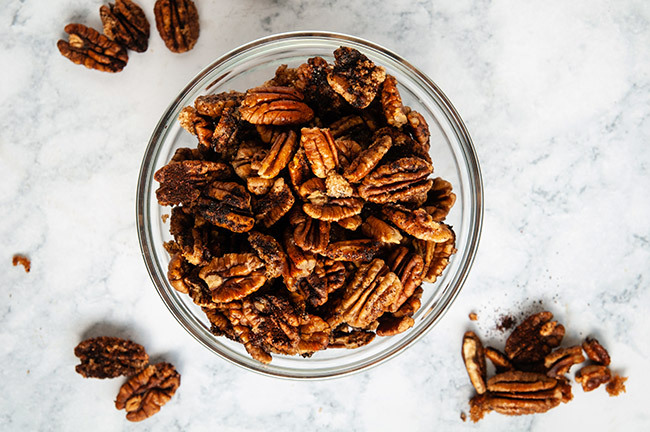 It’s all about those pecans. Instead of just being sweet, they are addictingly sweet and spicy. And let me tell you, that combo with the juicy, sweet strawberries, the refreshing cucumbers, and zip from the red onions. Yes, please. So, so good. The whole salad gets topped off with a homemade Italian vinaigrette. Think a richer, slightly sweeter version of Italian salad dressing. And really surprisingly easy to whip together. You can make the pecans several days ahead of time. Just store them in a sealed jar after use. Take care not to burn the pecans. They are done when they smell sweet and nutty but before they turn too dark brown. Use whatever greens you like. I chose baby butter lettuce, but spinach or arugula would be really nice in this as well. Make sure the greens are dry before you build your salad. I like to press a dry paper towel on top of the greens first to remove excess moisture. 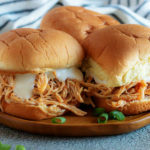 You can add cheese. 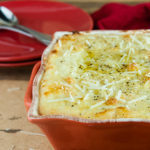 Saltier cheeses like feta, ricotta salata, and Parmesan would all work really well. This salad with strawberries and candied pecans is a delicious light lunch or dinner appetizer salad. 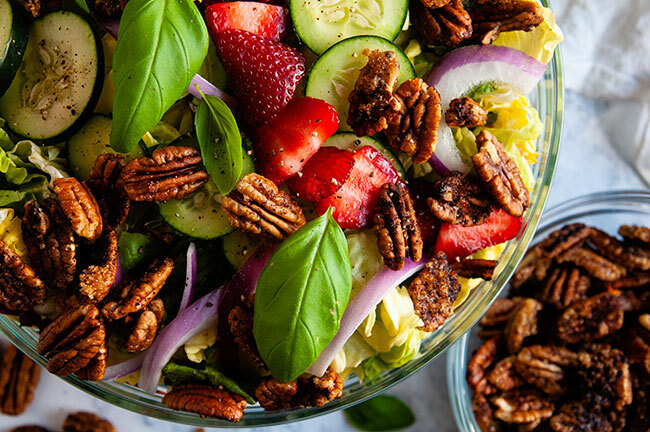 A homemade Italian vinaigrette tops this recipe for a salad with strawberries and candied pecans. 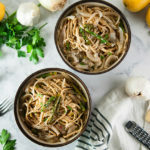 Easy, healthy, delicious, and vegetarian and vegan friendly. Stir together sugar and water add pecans and soak for 10 min. Combine 2 tbs brown sugar, chili powder and red pepper. Add pecans tossing to coat. Spray a cookie sheet with nonstick spray and place pecans on sheet. Let cool completely then scrape pecans off of pan. Store in a sealed jar. The pecans will stay good for up to 2 weeks. Chop all the veggies and slice the strawberries. 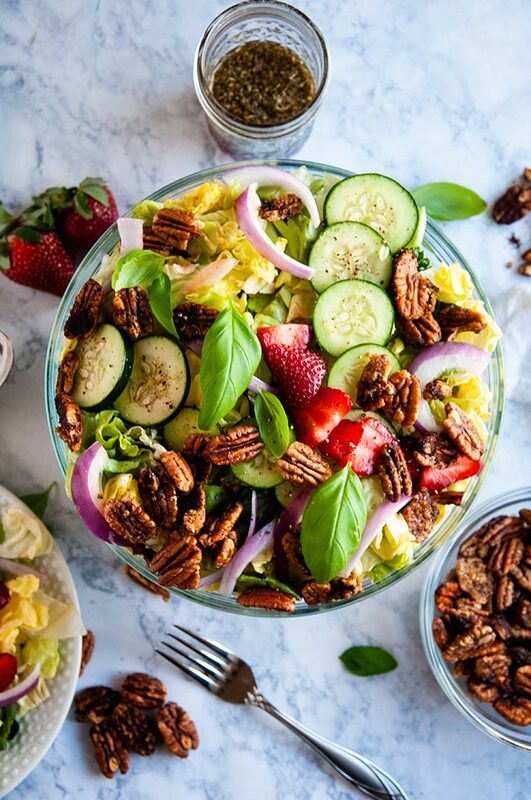 Top greens of your choice with the red onion, cucumber, strawberries, and sweet and spicy candied pecans. Whisk all the ingredients together .